It’s the biggest night in Hollywood, honouring the best in filmmaking, but a great deal of viewers’ attention will be focused on what the stars are wearing. The 90th Academy Awards, which airs on Feb. 24, will be viewed by hundreds of millions around the world, and much of the coverage will be fashion-focused. The next day, coverage will continue about the red carpet arrivals. Multiple television shows will dissect and offer dubious critiques on everything from the gowns and the priceless borrowed jewelry. Even the actresses’ hair, makeup and manicure will come under scrutiny. With avid attention paid to what they wear, no A-list actress dare go without the professional help of stylists, makeup artists and gowns made specifically for them by a top fashion house. But the overwhelming attention to Oscar night fashion wasn’t always the norm. The first Academy Award ceremony took place on May 16, 1929, and was a dinner party at the Roosevelt Hotel in Hollywood attended by merely 250 people. Just 15 awards were handed out, and the ceremony lasted 15 minutes. 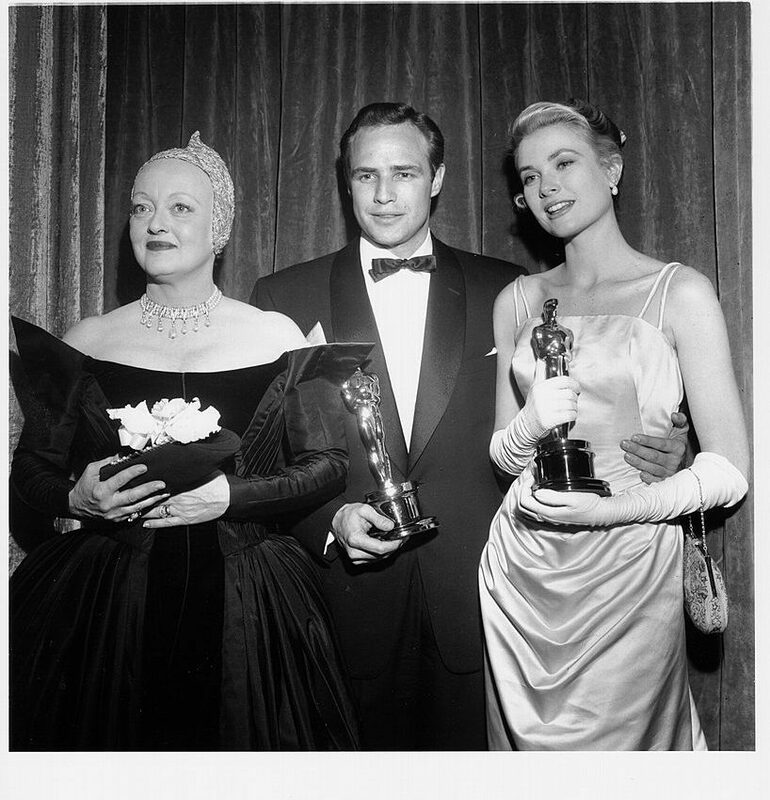 By the 1950s, when the awards started to broadcast the ceremony live, fashion began to play an important role on Oscar night. But unlike the glam squad employed by a celebrity today, one woman dictated what an actress attending Oscar night should wear. Edith Head, the legendary costume designer, who had 35 nominations and won eight Oscars for her work, became a fashion consultant during the 1950s right up until 1970. With her keen eye and talent for what looks good on film and what looks great against a backdrop, she was able to offer advice on not just clothing but also makeup and the colours attendees should wear. So without the help of their own personal army of high-priced fashion professionals, nominated actresses stepped out on Hollywood’s biggest night and managed to look glamorous. 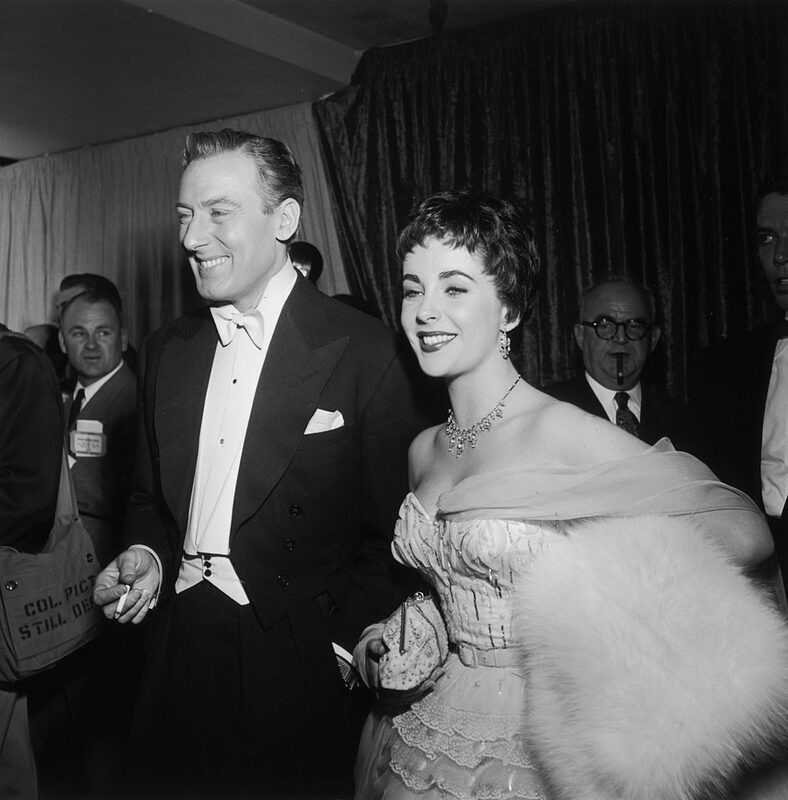 Elizabeth Taylor with her second husband, British actor Michael Wilding, at the Academy Awards in 1954. 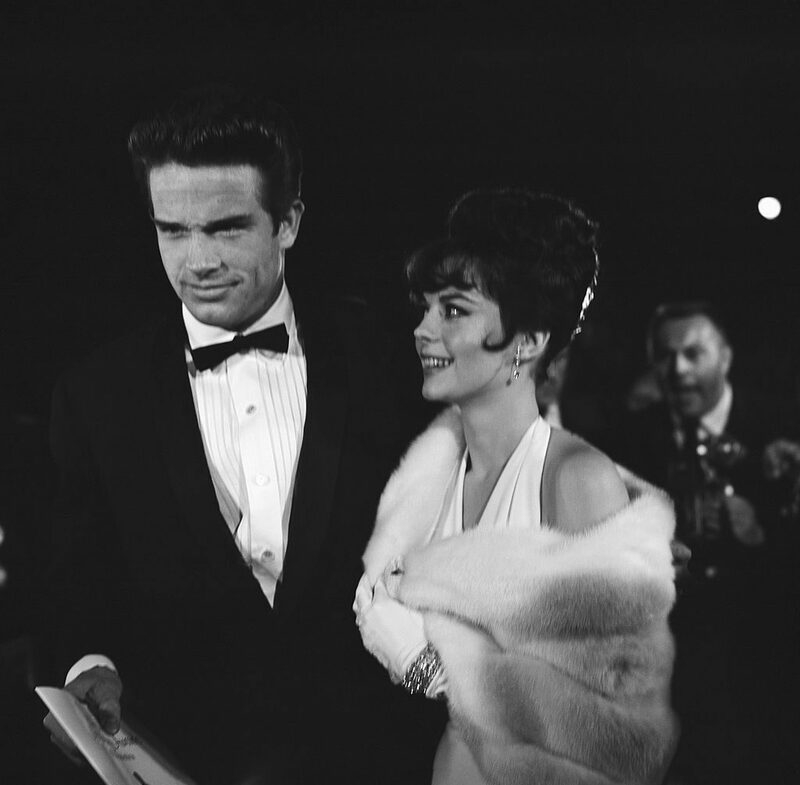 Natalie Wood with Warren Beatty at the Academy Awards in 1962. 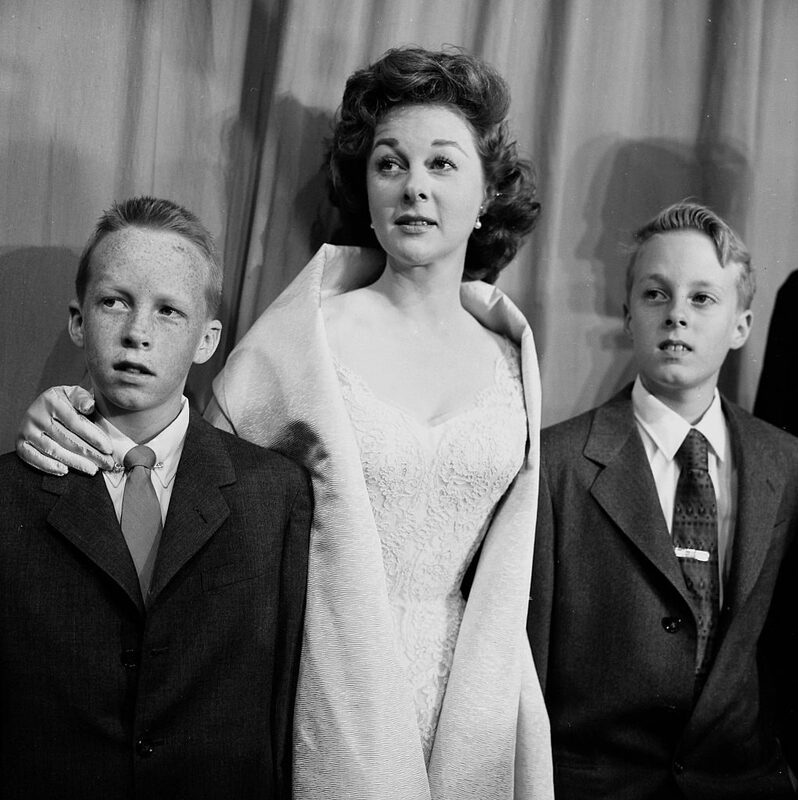 Susan Hayward took her sons, Gregory and Tim, to the Academy Awards in 1956. 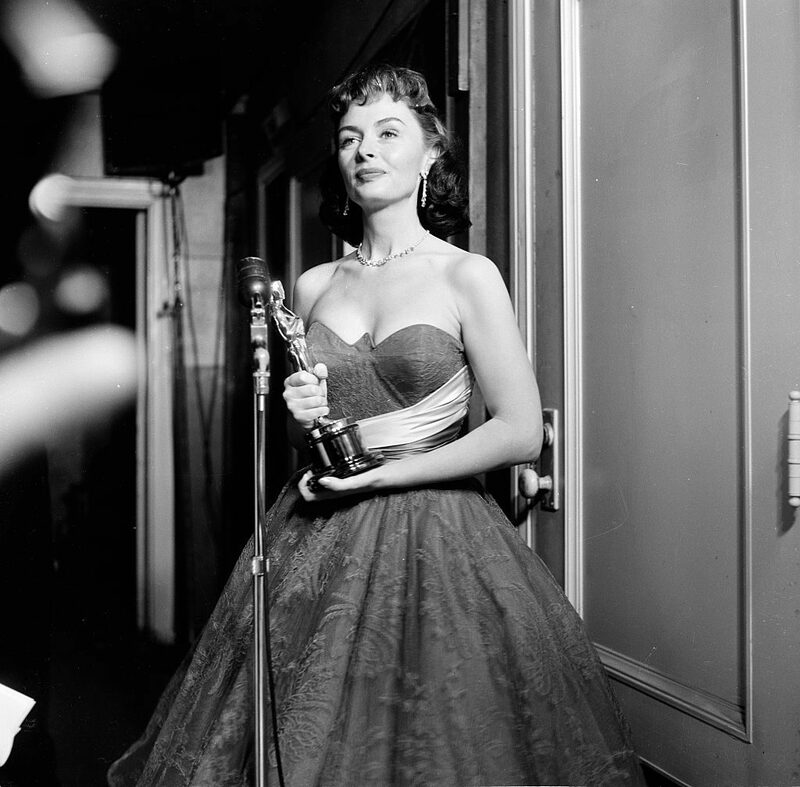 Donna Reed in 1964 with her Oscar for Best Supporting Actress for the movie, From Here To Eternity. 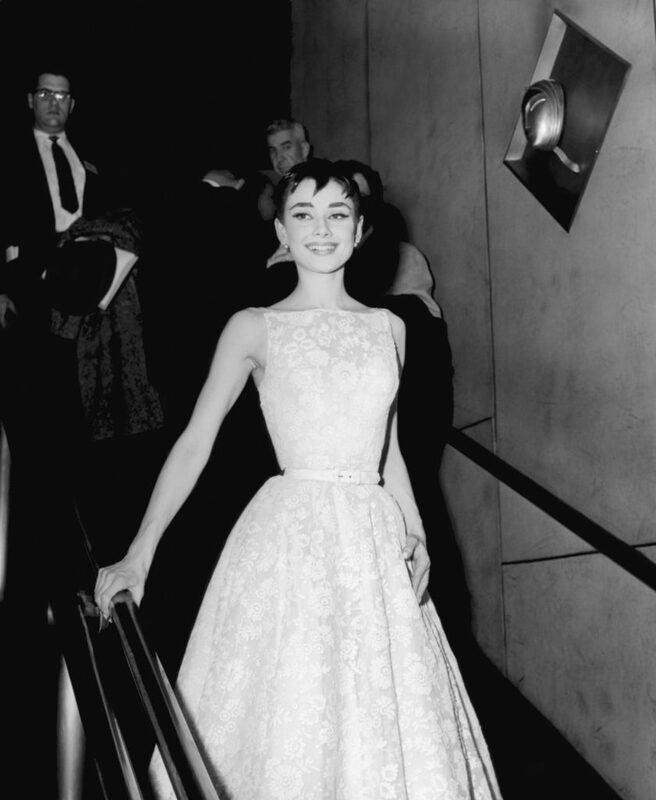 Audrey Hepburn, in a Givenchy gown, at the Academy Awards in 1954. 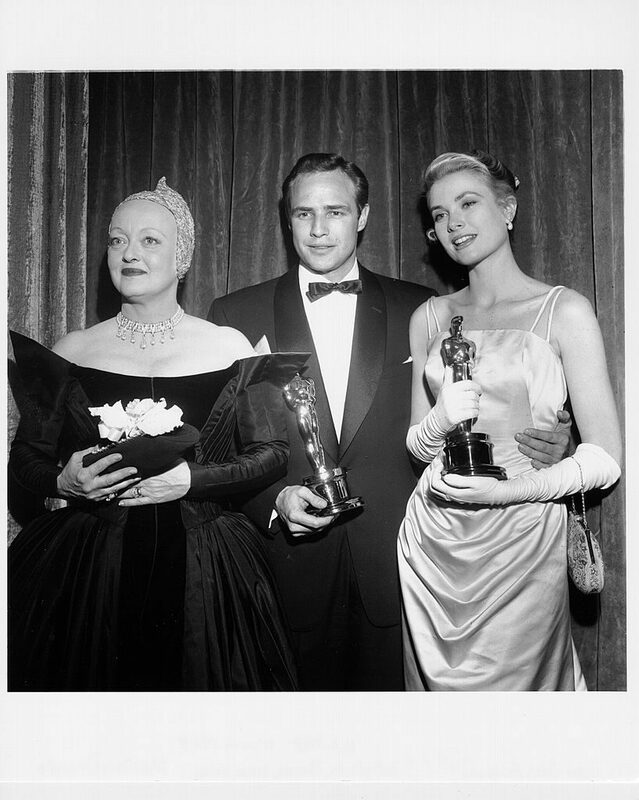 At the Academy Awards in 1955, Bette Davis presented the Best Actor Oscar to Marlon Brando for his performance in the movie, On The Waterfront. Grace Kelly won the Oscar for Best Actress for her performance in The Country Girl. 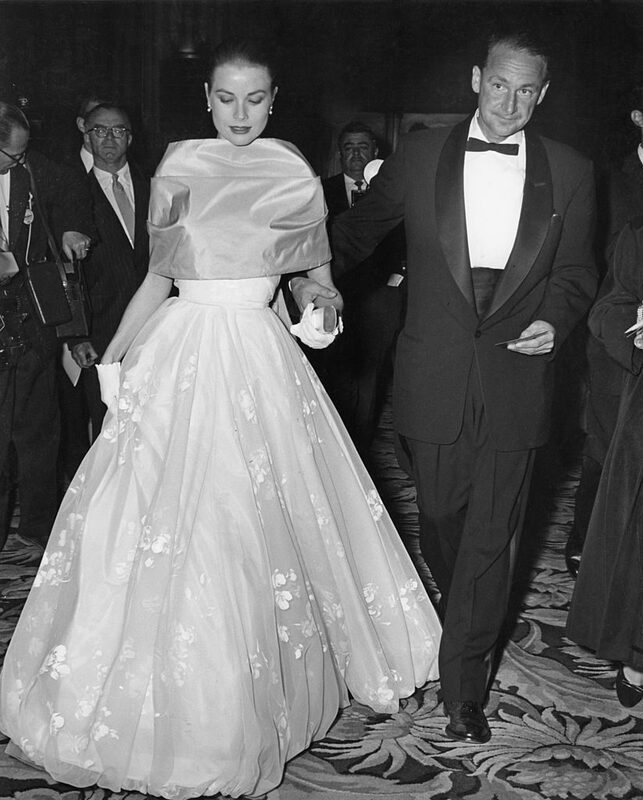 Grace Kelly with MGM publicist Morgan Hudgins at the Academy Awards in 1956. 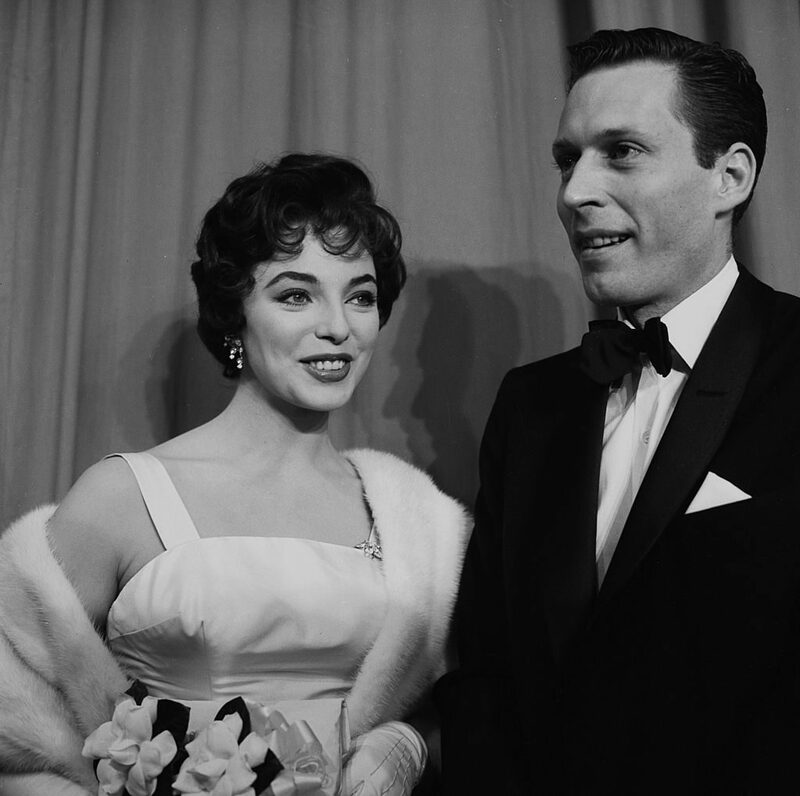 Joan Collins and a guest at the Academy Awards in 1956. 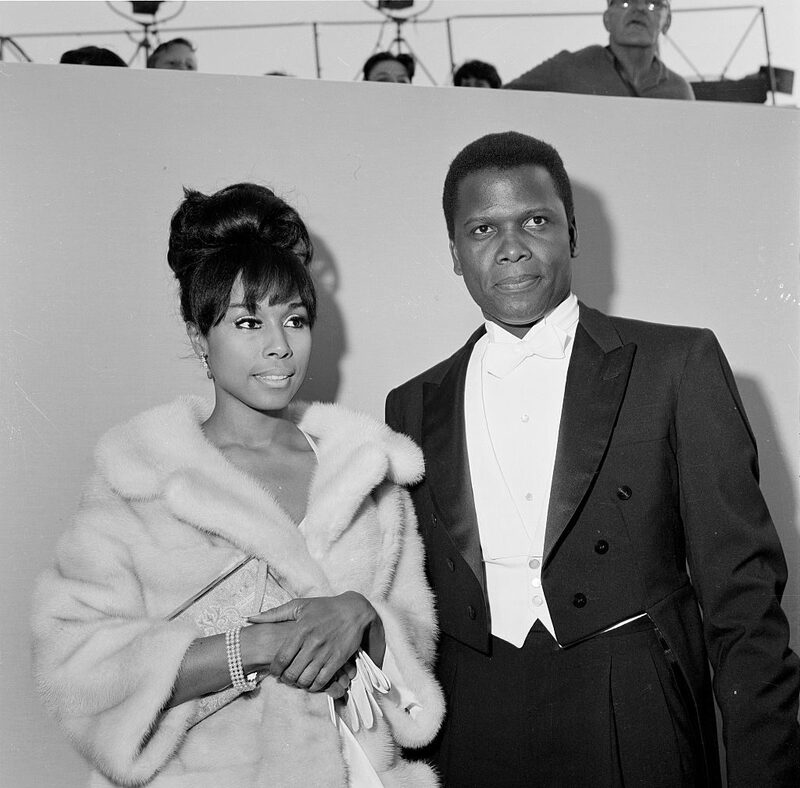 Diahann Carroll and Sidney Poitier at the Academy Awards in 1964. 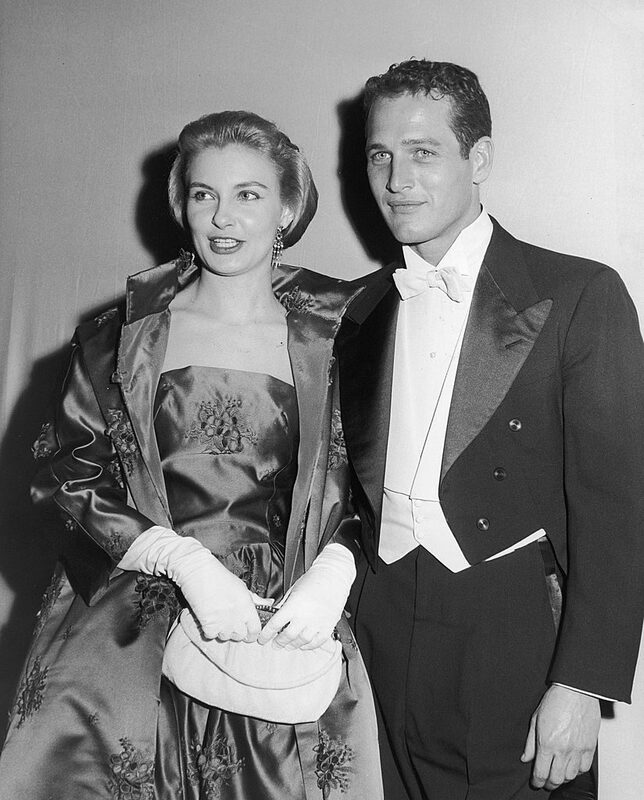 Married actors Paul Newman and Joanne Woodward at the Academy Awards in 1964.